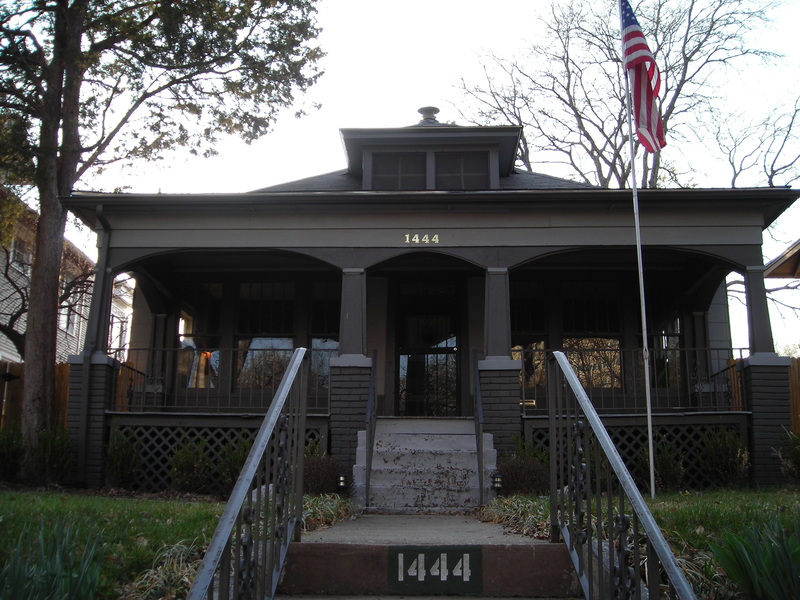 We are the second house from the corner of 15th Street on Carson Avenue. Right next door to the corner house that is home of The Escape. If you haven’t been there before, you should call them and go with your friends. It is a lot of fun to be trapped in a room with only your wits to get you out. Plus they are really good neighbors. Our office is housed in the large grey house with a small parking lot in the back and plenty of free on street parking. There is a sign on the back and front of our office. And, of course, we have a large American Flag in the front.